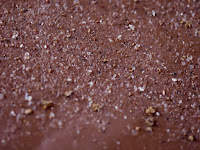 Welcome to Day #26 of Chocolate, Fruit and Botanicals Month. 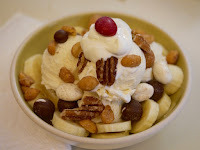 And today is Vanilla Day. Chocolate and vanilla have a long history together. Vanilla orchids originated in what is now Mexico and Guatemala, an area where the Mayan people flavored their drinking cacao with vanilla hundreds of years ago. Now vanilla is grown around the world, including Madagascar. 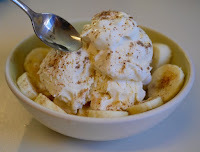 I've always considered vanilla an upbeat, happy spice that has a special affinity with milk and cream. Today I'm celebrating the magic of chocolate and vanilla with a series of treats. 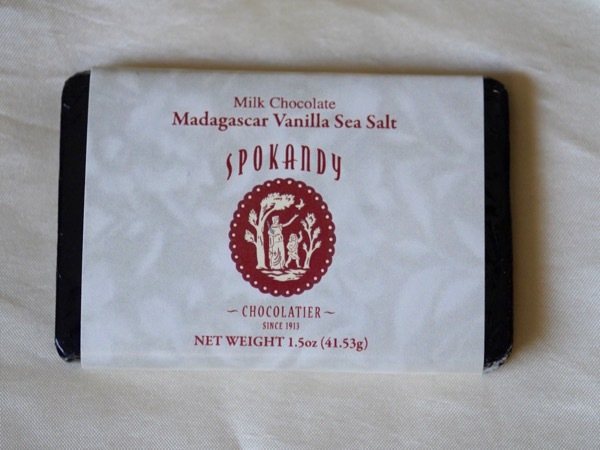 The first item was a Milk Chocolate Madagascar Vanilla Sea Salt bar from Spokandy (Spokane, WA), a company that has been producing chocolates/confections since 1913. 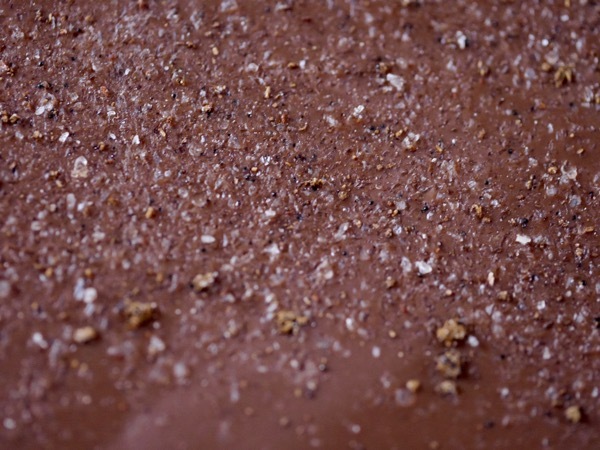 This rich chocolate milk bar with ground vanilla bits and sparkles of sea salt was good by itself and melted over Madagascar Vanilla ice cream. 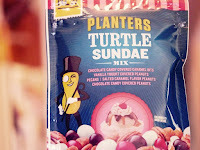 And speaking of vanilla ice cream, I enjoyed a mini breakfast banana and ice cream sundae, topped with a Planters Turtle Sundae Mix, with nuts and chocolate caramel and vanilla yogurt covered pieces. 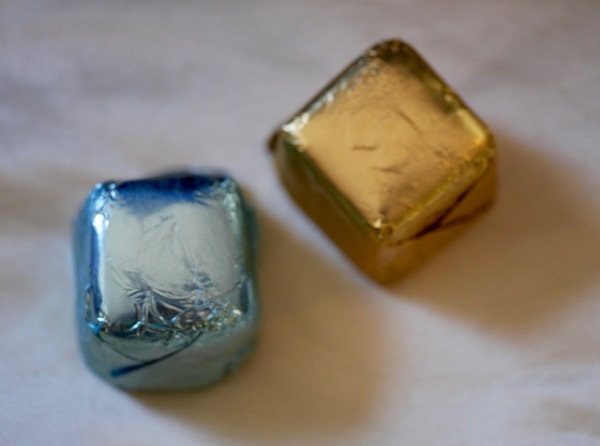 Last, but not least, the previous vanilla treats were joined by two, indvidually-wrapped, silky cubes of chocolate with a truly creamy and indulgent melt. 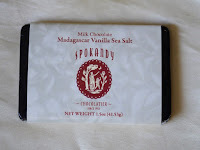 The Vanilla Sea Salt and Lemon Vanilla Olive Oil Meltaway chocolates from Ethereal Confections were made with a buttery Manzanillo olive oil.